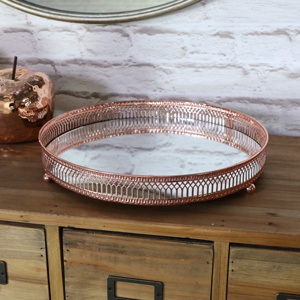 This large mirrored tray is simply stunning. 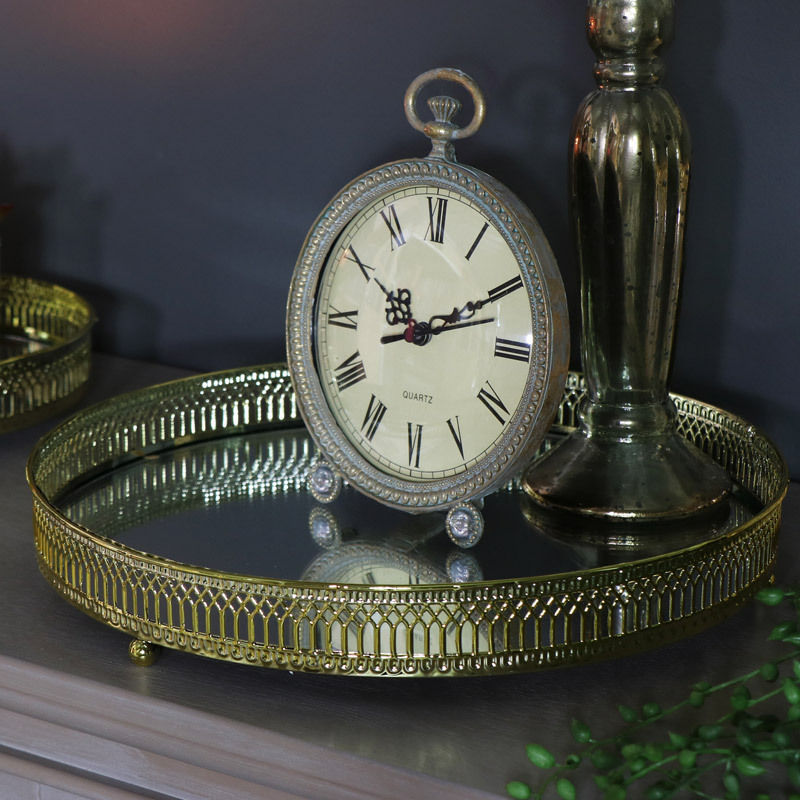 Finished with a polished gold cut out edge that is highlighted by the mirrored base making this a fabulous display tray. There are so many ways in which this tray can be used. A great look for a wedding table centre, just perfect for holding a bottle or glasses of champagne and tasty treats for that special day. Display your favourite perfumes ornaments and trinkets or use as a candle plate for a warming and stunning candlelit arrangments. We also have this gorgeous tray in a smaller size and a great selection of colours and various shapes and sizes. 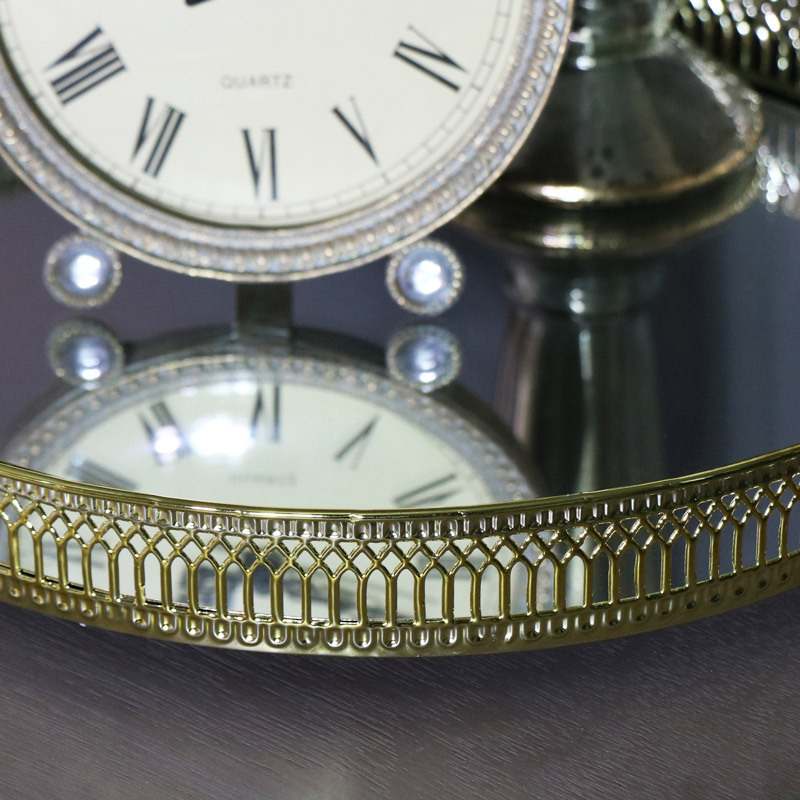 This large mirrored tray is simply stunning. 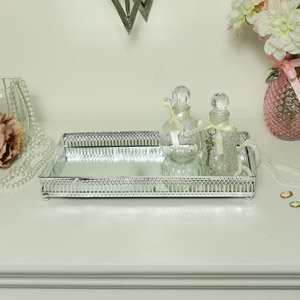 Finished with a polished gold cut out edge that is highlighted by the mirrored base making this a fabulous display tray. There are so many ways in which this tray can be used. A great look for a wedding table centre, just perfect for holding a bottle or glasses of champagne and tasty treats for that special day. 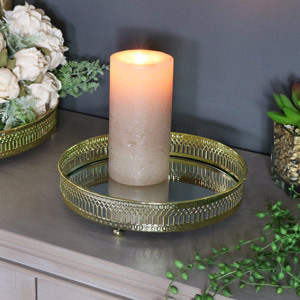 Display your favourite perfumes ornaments and trinkets or use as a candle plate for a warming and stunning candlelit arrangments. We also have this gorgeous tray in a smaller size and a great selection of colours and various shapes and sizes.